If you've ever tried a memory foam mattress topper, you will appreciate the extra comfort it brings and how it can lead to a wonderfully restful night's sleep. 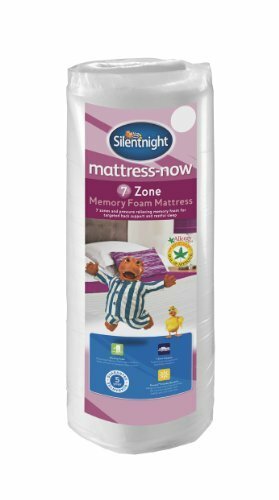 I've got back problems, and while the mattress topper brought some relief, I needed a new mattress underneath and opted for the rolled-up Silentnight 7-zone memory foam mattress for my single bed. It was with some trepidation that I opened the package when it arrived. How could something so small fit on my bed, or open up to the full-size mattress the advertisement promised? It was advised to open the package in a well-ventilated room, and to leave the mattress on a flat surface to inflate itself to full-size for 24 hours. Lack of space and ventilation meant that my mattress had just 9 hours to prepare itself on the bed base. Contrary to other reports from buyers, there was no smell and by bed-time, the mattress was ready for sleeping in. I can honestly say I have never lain down on so comfortable a mattress! It was soft, yet firm at the same time. I felt as if my body was enveloped in an enticingly-soft marsh-mallow. Six months on, I still feel wondrous when I lay down to sleep. The mattress topper I already had was consigned to the other twin bed, while I luxuriate in the splendour of the most comfortable mattress I have ever slept on. Silentnight are arguably the biggest and best-known manufacturer of beds and bed-linen in the UK. 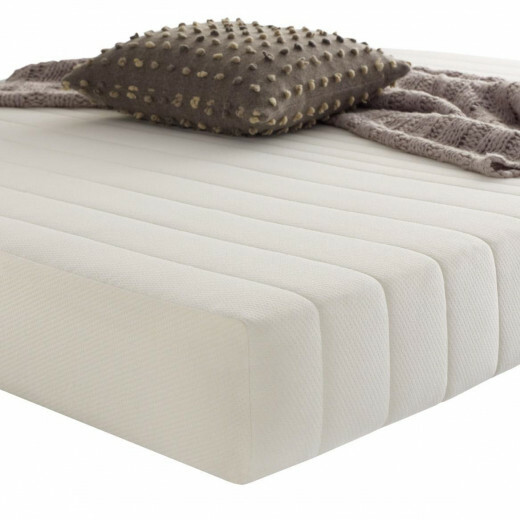 They offer two memory foam mattress - a Miratex 3-zone and a 7-zone with the latter being slightly more expensive. The 3-zone offers extra support for your shoulders. hips and lower back, while the 7-zone promises support to 7 zones, including the shoulders, hips and lower back and all pressure areas. As I have only tried the 7-zone, I cannot compare the two, but I am a firm believer in that you get what you pay for, so the more expensive option is probably the best. Do Memory Foam Mattress get as hot as the toppers do? From experience, I can say that the Silentnight memory foam mattress does get hot, but not as hot as the topper did (it was a different brand name). In the summer, this can be a problem, but it is possible to buy cooling sheets to help prevent the heat from reaching your body. I believe Egyptian Linen sheets are best for this as they are cool and help prevent over-heating. In the winter, when the room is cold, I have to admit to appreciating the extra warmth given off by the Silentnight memory foam mattress. It never at any time gets too hot where you wake in a sweat or want to throw the bed-covers off. 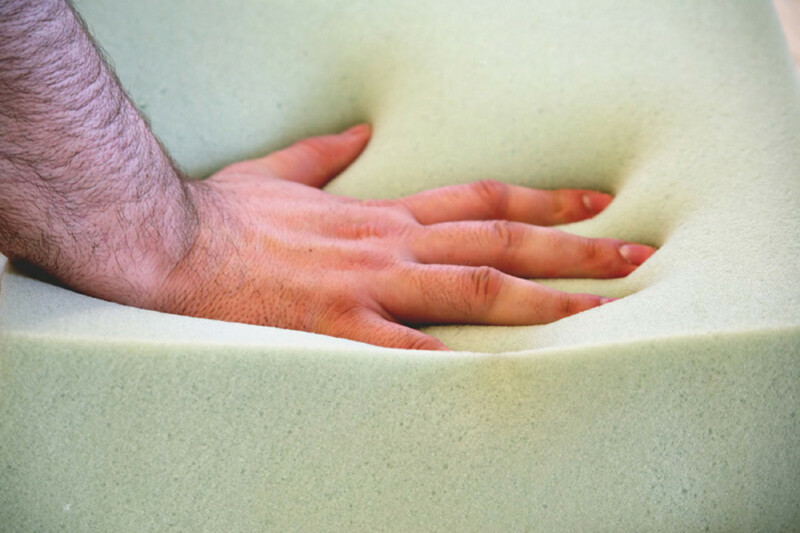 The memory foam is made from a material called Miratex which absorbs movement. The main reason I chose to change my mattress was because I have chronic backache due to an injury some years ago. A new left-sided pain developed, instead of my normal right-sided pain, and I hoped the new mattress would sort out my problem. I think the full benefit of changing to a memory foam mattress is experienced by those with certain types of injury. Unfortunately not mine, the cause of which at the time of writing has still not been diagnosed. One day I did wake up completely pain-free. My usual right-sided niggle was gone and the left-sided sharp pain was strangely absent. This leads me to believe that had I treated myself to a new memory foam mattress before my left hip pain started, I would have been able to wake up pain-free on a regular basis. Well-made memory foam mattresses are designed to support your body in its natural sleep position, much more so that normal mattresses. 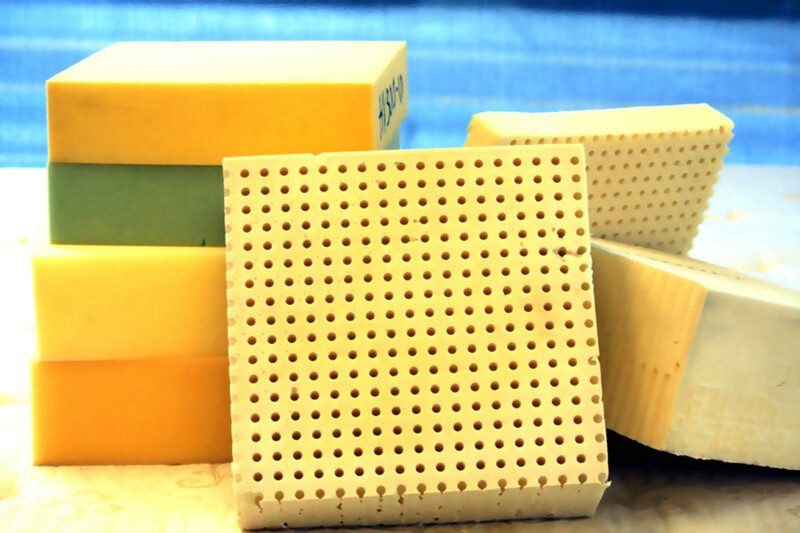 Most people report that they sleep better and have less pain when using memory foam to sleep on. My advice to anyone with back pain would be to buy one and see how it goes. Although mine did not cure my pain, I am sure it helps as finding a comfortable pain-free position to drift off to sleep is easy now. 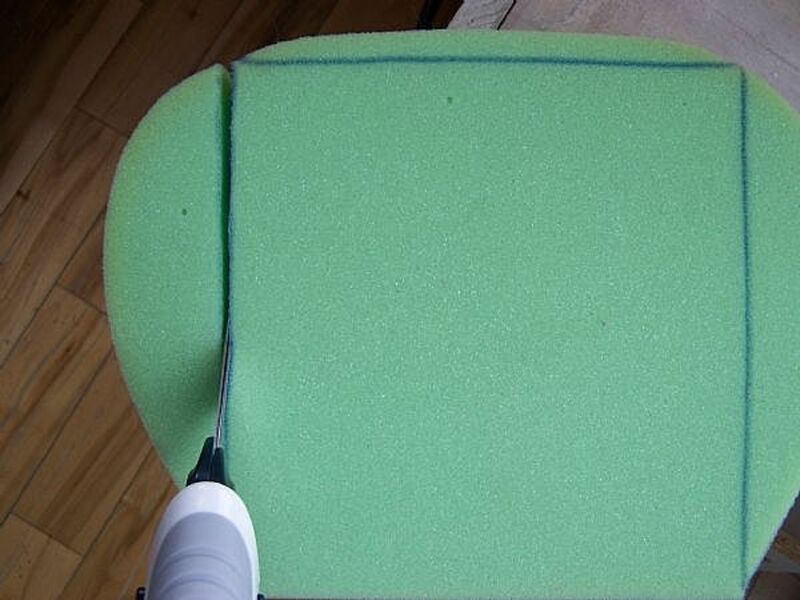 Have you slept on a memory foam mattress? If you are buying a double or king size bed memory foam mattress, then it is good to know that the Silentnight 7-zone Miratex mattress fits right to the edge of the bed, preventing the two of your rolling into each other while you sleep. At 20cm (8") deep, this mattress supports all of your body in its natural sleep position and after six months of use, mine has not sagged in any area. It continues to offer the same support it did to me that first night I used it, as during the day it returns to its normal shape. Being vacuum-rolled, it is easy to carry home from the shops, or for delivery men to deliver to your door. 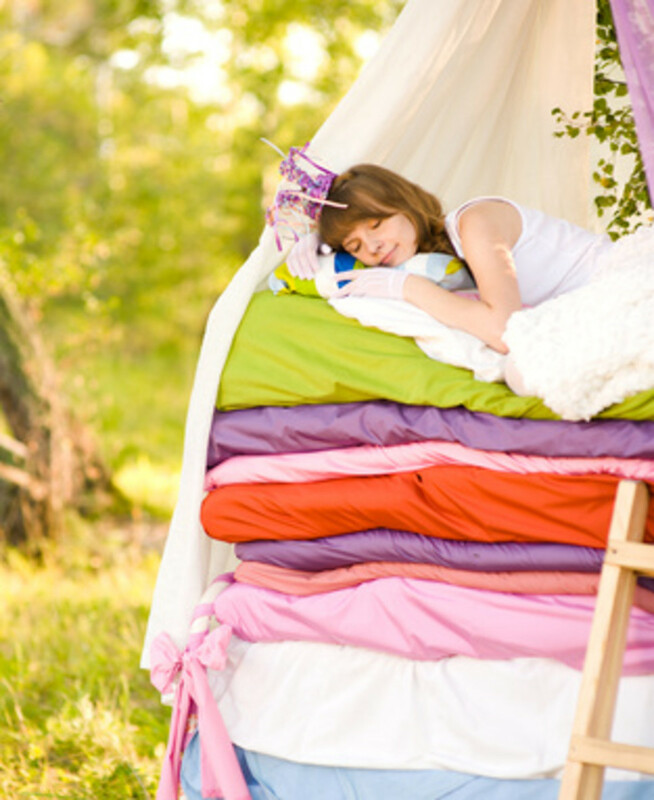 Once unrolled, it cannot be rolled up again as it takes on the dimensions of a normal mattress.